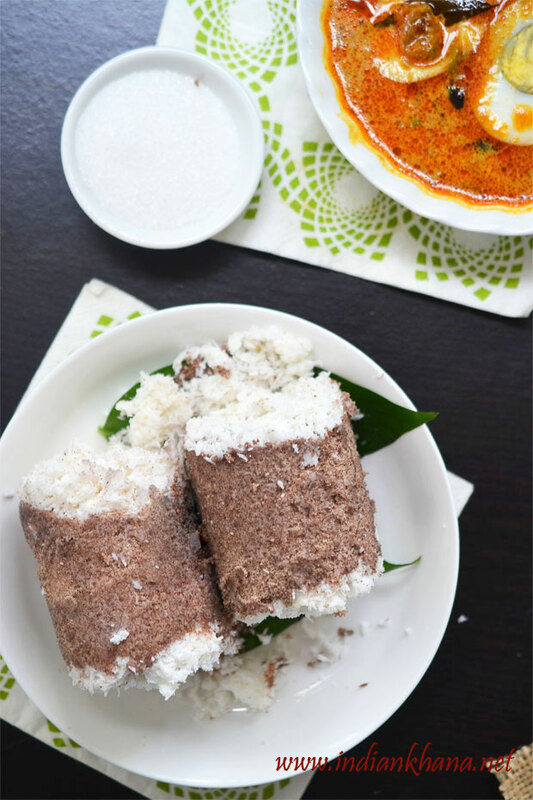 Ragi Puttu is popular breakfast recipe from Kerala served along with egg curry, kadalakari (black chickpeas curry) or with pappadam, small yellow banana or even with just plain sugar. 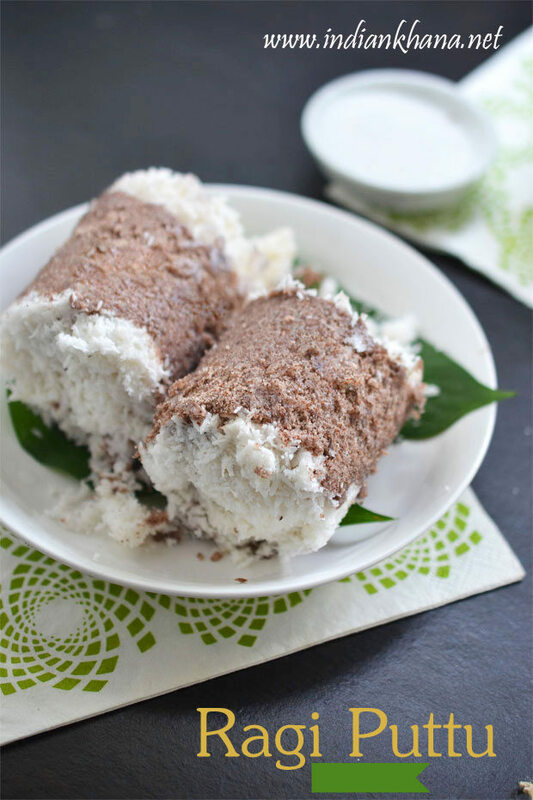 Ragi puttu is vegan, gluten-free, healthy, oil-free breakfast recipe which is made with minimal ingredients, just the flour and fresh coconut. 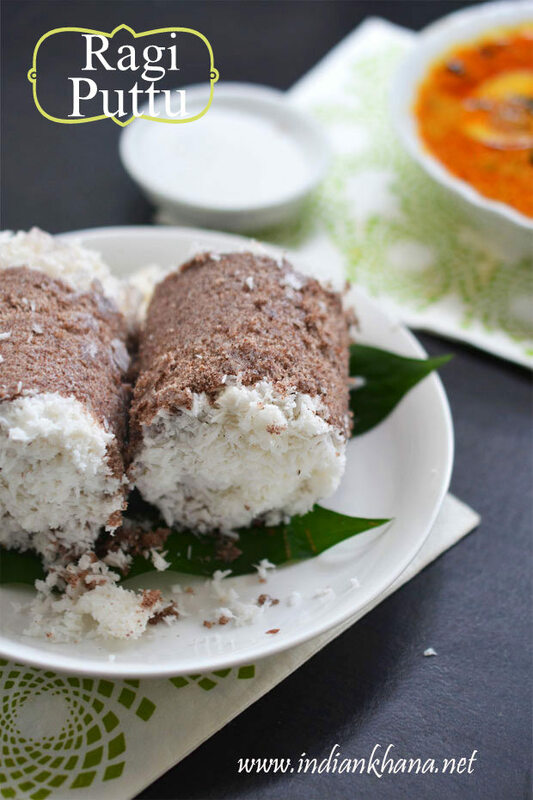 Everyone from Kerala love puttu it's just like staple idli or poha for breakfast it's puttu in Kerala. During our trip to Munnar couple of years back almost every day we used to have hot puttu and kadalakari in banana leaf for breakfast in small restaurant near our hotel and the place always used to be crowded during breakfast time, yum one the best puttu and kadalakari I had so far. Puttu is very common in our house my mom used to make for brekfast or as evening snack though she never had the puttu maker but using the other method where we tie cloth around a large vessel normally idli cooker, place the prepared flour, coconut and steam to make puttu without puttu maker too. If my mom not making puttu then we used to get it from our next door neighbor, the Malayali aunty had beautiful puttu maker and she will always share some with us mostly while she used to make it weekend breakfast. Puttu maker is round metal vessel with cylindrical tube fitted over a pot also known as puttu kudam and puttukutti in Malayalam. 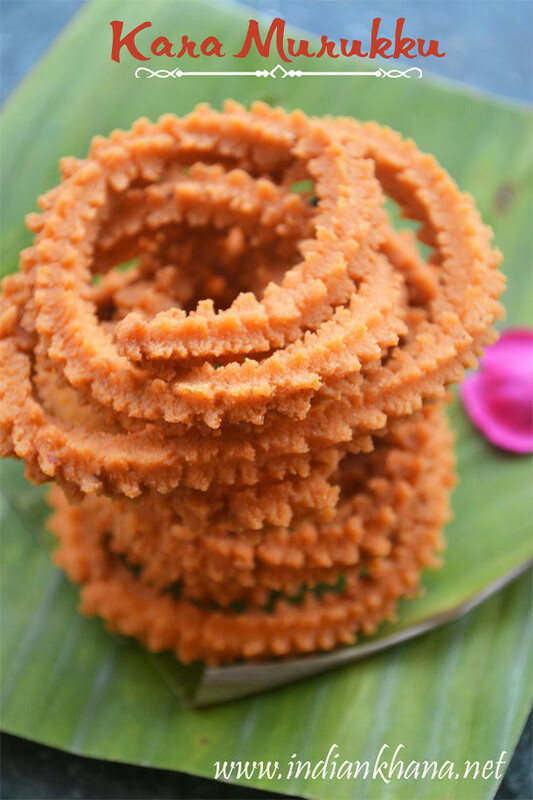 As mention above we can also use cloth to steam puttu or coconut shell, in olden days puttu was steamed in bamboo logs. 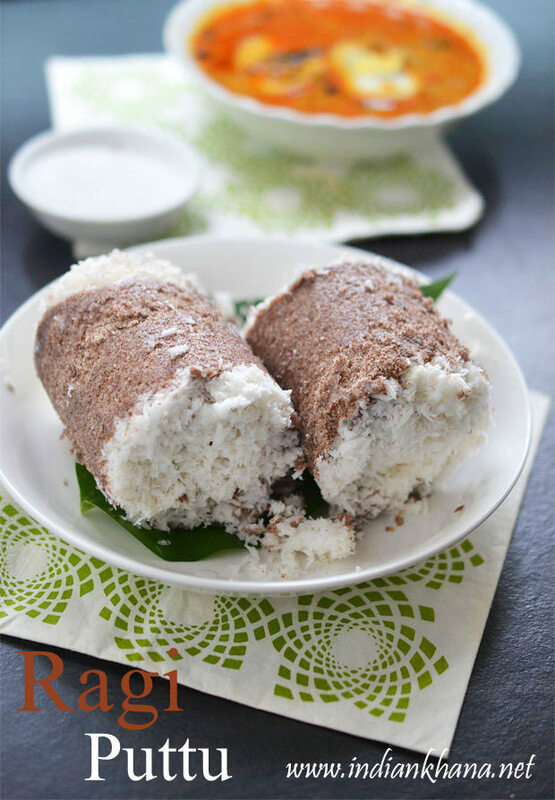 Puttu is normally made with rice flour, red rice flour, wheat flour, ragi flour. 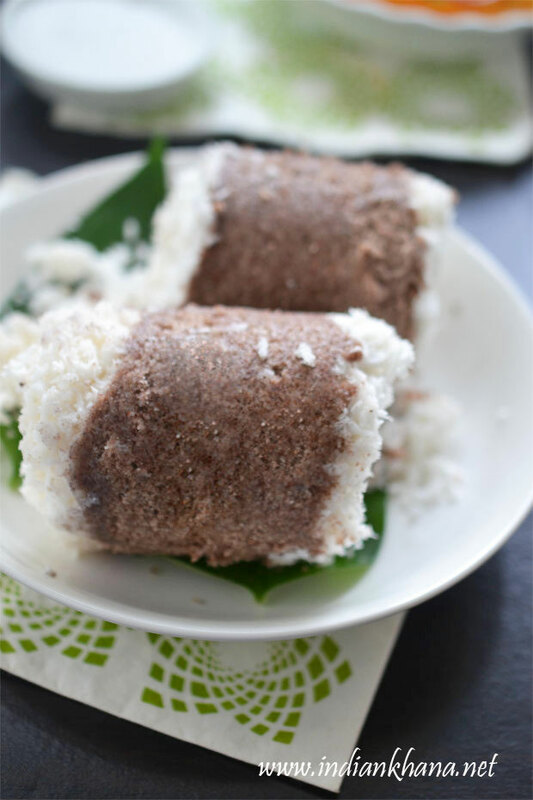 I have made puttu so many times and in fact also took pictures lot of time but never manage to post, this time I decide I should do and here comes the ragi puttu recipe to continue the Millet Friday trend, I will post soon Rice flour puttu too. 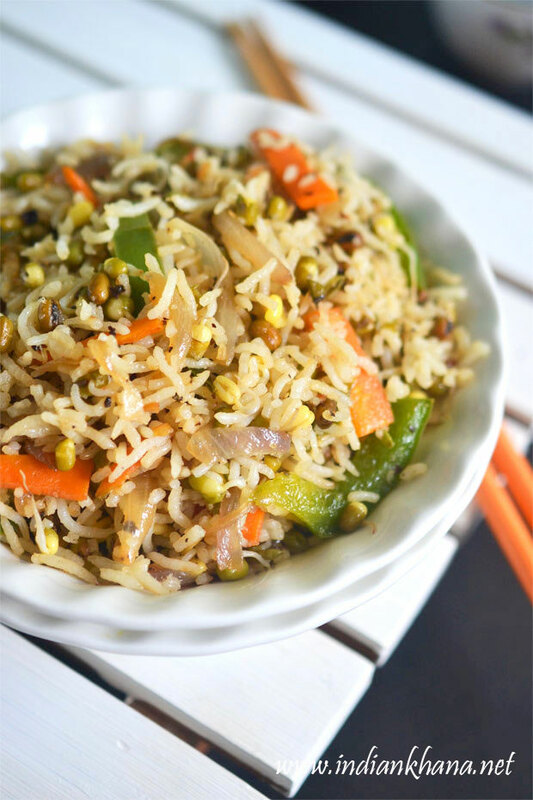 If you want to include healthy millet in diet then puttu is great option as it's oil-free, steamed and can be done in jiffy, care to join me :) Check out other recipe from Kerala here. 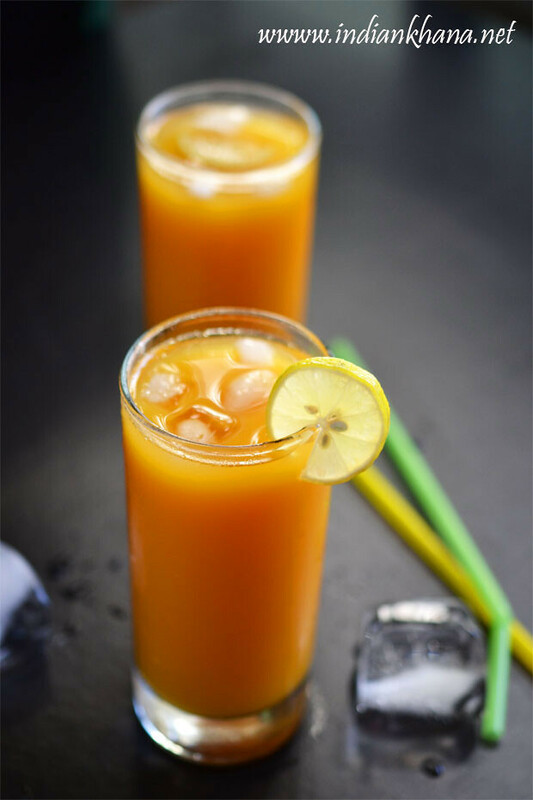 You can also check other Breakfast recipes here. 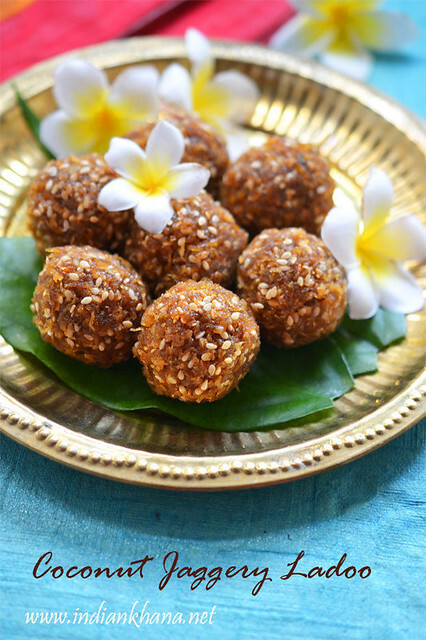 Healthy, glutenfree, vegan breakfast recipe with finger millet flour and coconut. Dry roast the ragi flour (I used sprouted ragi flour) over medium heat for 3-4 mins or until flour becomes fragrant, stirring continuously. Don't let the flour change color, keep it aside allow to cool. Transfer roasted ragi flour in to a wide bowl or plate and add salt, sprinkle water and mix to combine, always sprinkle water so we don't end up adding more than required water, be careful while adding water as the water has to be warm. Fill two third water in the puttu maker bottom pot (kudam), place on stove to heat water. Take cylindrical tube part, insert the flat disk with holes at the bottom of the tube. 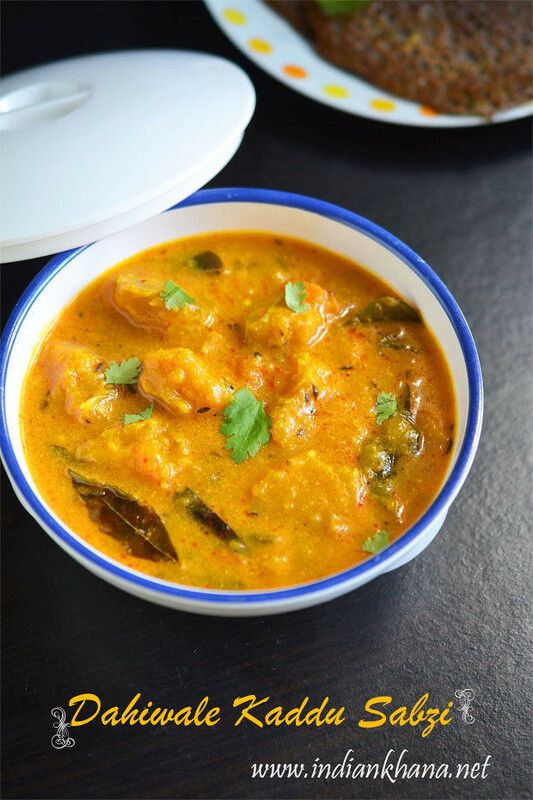 Add 2-3 tbsp coconut first and then add the prepared ragi flour till half. 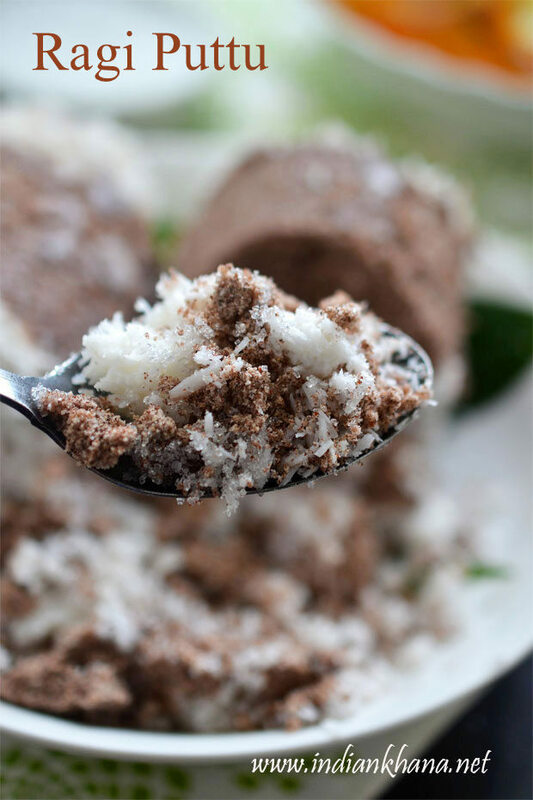 Add 2-3 tbsp coconut again and fill the rest of the tube with more prepared flour and add 1-2 tbsp grated coconut on the top. 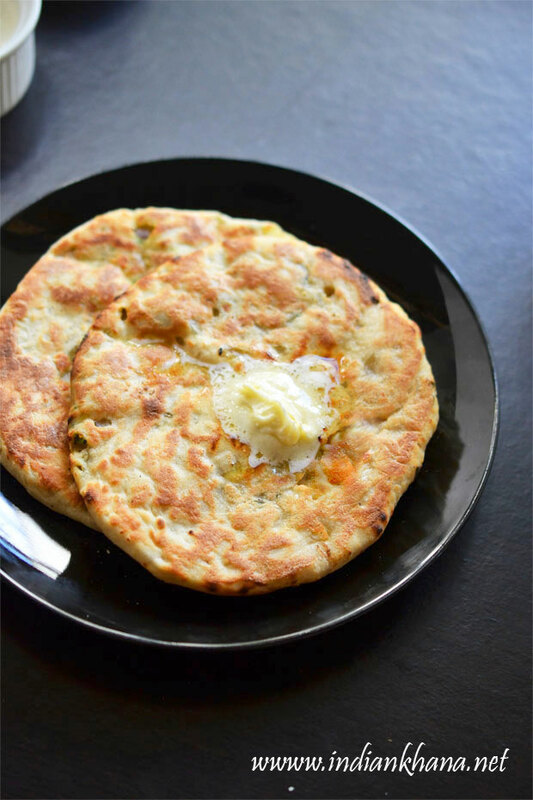 We should always just add the flour and coconut and never try to press them with spoon or hand. 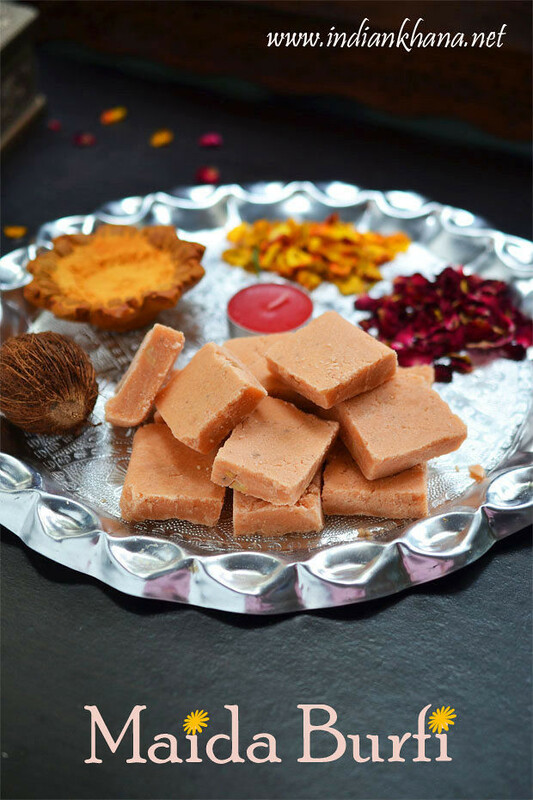 The ragi flour must be loosely filled and not packed. Cover the cylinder tube and place on puttu pot/kudam. Steam for 6-8 mins or until steam starts coming out through the holes on the lid. Remove the tube from the pot and open the lid. Use large spoon or spatula, slowly push the puttu, and slide it onto a plate. 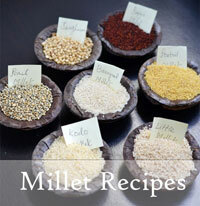 Repeat same for rest of rice flour to make puttu. 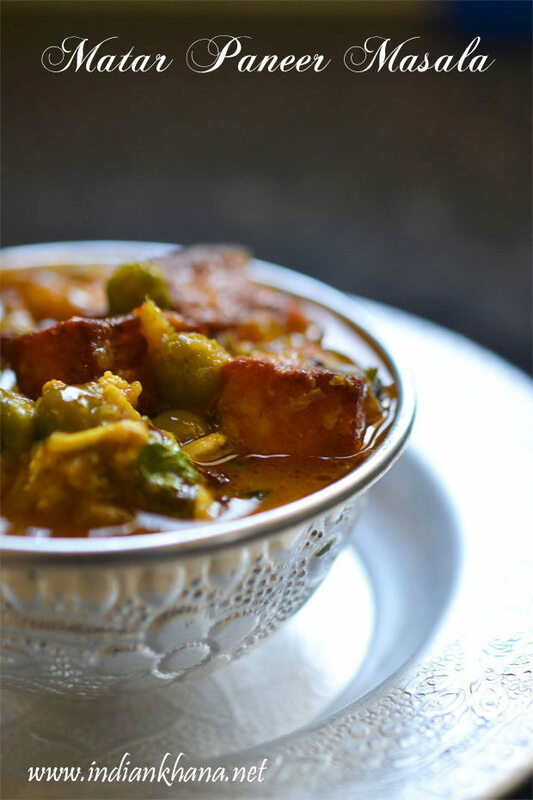 Store hot with Kerala Egg Curry or Kadalakari or small banana or with sugar. Healthy, vegan, glutenfree Ragi Puttu.